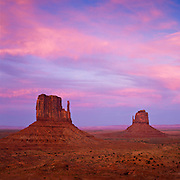 Monument Valley Navajo Tribal Park has probably what is the most recognizable landscape of the american southwest: the three rocks known as The Mittens and Merrick Butte. 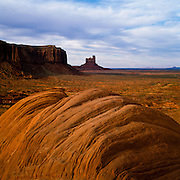 But this majestic view is not all that this park in the Navajo reservation area has to offer. 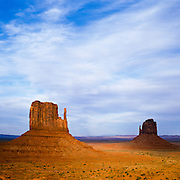 From the Totem Pole rock formation, to John Ford Point, to Mystery Valley and some Ansazi Ruins, exploration of Monument Valley would take an entire lifetime.